6Sigma.com offers a wide variety of training options in the Atlanta area. Besides the immensely popular four week Black Belt option that is available in the city, there’s also Lean, Green Belt, and Yellow Belt programs on offer. Those opting for the popular four week Black Belt option will essentially divide their time in terms of – two weeks obtaining a Green Belt followed by another two weeks obtaining a Black Belt which is typically obtained after a Green Belt. There is a major incentive on offer in choosing all four weeks together since the price for it carries a steep discount – $6500 only. An additional advantage with the four week Black Belt program is that folks from the same organization can seek Green and Black Belt certifications simultaneously, which makes things a lot more flexible for them. Finally, just in case you were thinking that is all we have on offer in Atlanta, think again since we also provide our flagship Six Sigma Champion course which is tailored for organizations just commencing the process of implementing six sigma principles. Enjoy the comforts of an all-suite hotel in the heart of Buckhead, an area known for antebellum mansions, Atlanta’s finest restaurants, galleries and specialty shopping. 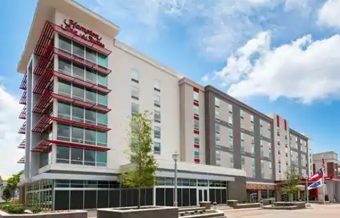 This hotel in Buckhead, Atlanta is eight miles north of downtown and easily accessible to MARTA, Atlanta’s rapid transit system. Use the hotel’s shuttle service to explore areas within a three-mile radius of the hotel.